Woodward Library will receive a new front entrance to meet Accessibility requirements. Work will begin after final exams in December, and continue for approximately 3 months. 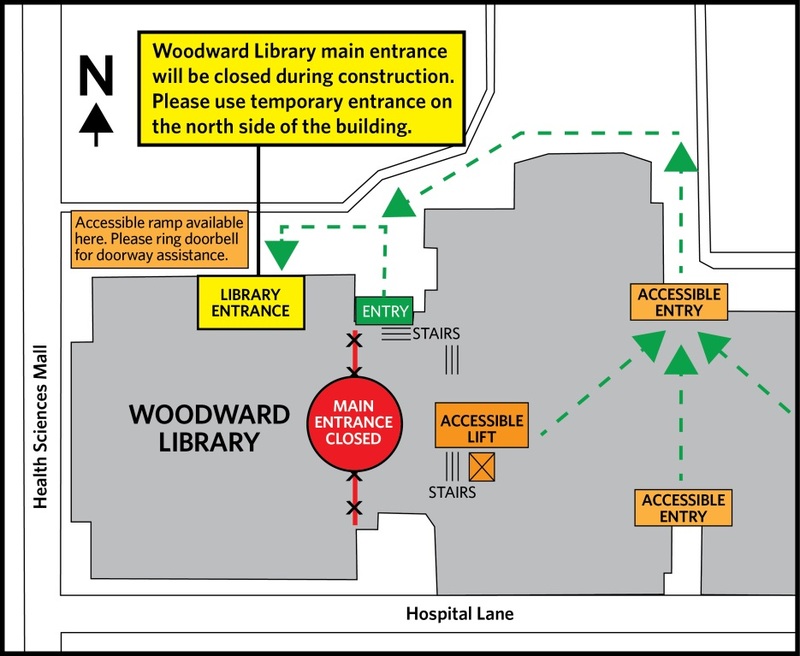 During this time, Woodward Library’s entrance will be moved and accessible from what is currently an emergency exit on the north side of the building, down the accessibility ramp. 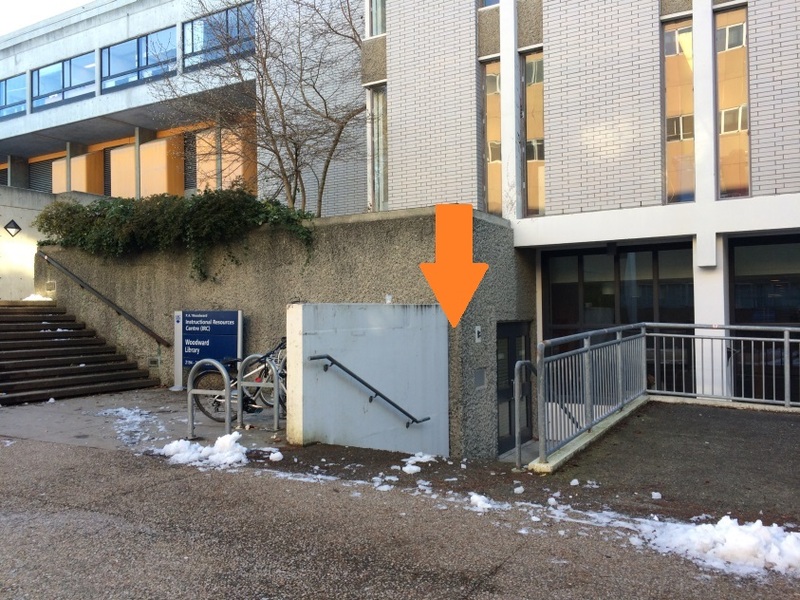 The book drop will be closed for the duration and after hours returns can be made at any other UBC Library book drop. As the front of Woodward Library will be rebuilt, we are planning to update the course Reserve section. This will create a lounge-type study space with 33 additional seats and more power as well as a librarian/patron consult space. Thanks to a generous donation from the Estate of Thomas C. Brayshaw, UBC Library now has a three-year subscription to four sections of the Journal of Visualized Experients (JoVE), a peer reviewed scientific video journal. The Library does not have access to the other sections (Biochemistry, Bioengineering, Behavior, Cancer Research, Chemistry, Developmental Biology, Engineering, Environment, Genetics). If your department is interested in partnering with the Library to fund one or more of these sections, please contact Sally Taylor at Woodward Library. Woodward Library joined more than 140 organizations across Canada to celebrate Science Literacy Week from September 19-25. Activities included a Wikipedia edit-a-thon to expand or create entries for UBC women scientists, a Science Expo where participants experienced the amazing science at UBC and in the community, a Living Library where graduate students could be “borrowed” like books to talk about their inspiring research, and several colourful displays including the UBC faculty-recommended Great Reads and the Scientifish felt board that captured what folks love about science. We’d like to thank all of the participants who brought their energy and know-how to the events. Check out our photo album to see the fun and learning that transpired! Woodward Library is pleased to announce that as a result of generous donations from the Estate of Robert Charles Brooke and the Estate of Richard Irving Greyson, UBC now has a subscription to TAIR (The Arabidopsis Information Resource). The Arabidopsis Information Resource (TAIR) is a database of genetic, genomic, and molecular biology data for the model higher plant Arabidopsis thaliana. Data includes the complete genome sequence along with gene structure, gene product information, gene expression and protein localization data, DNA and seed stocks, genome maps, genetic and physical markers, curated relevant publications, and information about the Arabidopsis research community. TAIR is an essential resource for plant biologists worldwide. At UBC researchers in the Faculties of Science, Forestry and Land & Food Systems use TAIR routinely to not only study Arabidopsis but other plants as well. As an example, one recent study by UBC researchers published in the journal Science successfully used Arabidopsis to visualize the synthesis of cellulose. TAIR will also be of benefit to undergraduate students enrolled in higher level courses such as BIOL 337 (Introductory Genetics Laboratory), BIOL 433 (Plant Genetics) and BIOL 440 (Plant Genomics). 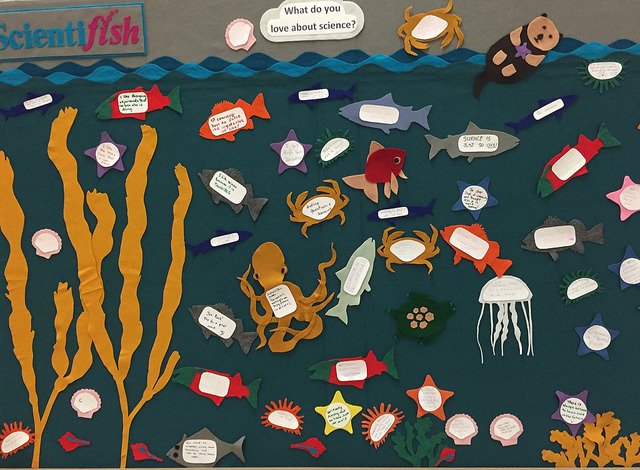 September 15th, 2015 by Sally Taylor | Comments Off on Celebrate Science Literacy Week! Come and celebrate science at Woodward Library and at other venues on campus and around town! In its second year, Science Literacy Week (September 21-27, 2015) has gone nation-wide with 100 participating institutions from nearly 50 cities! What’s going on at Woodward Library? Robots! 3D printing! Biological specimens! Drop by Thursday 3:00-4:30pm for some hands-on science with folks from the Beaty Museum, Engineering Physics, Open Robotics and UBC Rapid. Fascinating science documentaries! Bring your lunch and watch a movie in the Sherrington room (daily 12-1pm). Great Reads! Discover the science books that have inspired UBC Faculty. Better yet, borrow one! Why do you love science?! Tell us why on the whiteboard. Posted in Uncategorized | Comments Off on Celebrate Science Literacy Week!